Zenario comes with a range of module-based "data managers" for a range of tasks: Users/Contacts; Companies; Locations; Documents; and more. These data managers give your administrator access to create, update and delete records. More data managers can be created. While all of these data managers come with a minimal set of "system" fields, the key thing is they can easily be expanded so that you can store additional fields, as you may require for your sites application. This is the idea of datasets: a dataset is the basis of one of the above data types, which is designed in a flexible way, so as to adapt as your site grows. There are several types of dataset fields available to use when modelling your data, they consist of select lists, date selectors, multiple radio buttons, countries, centralised lists, groups, URLs and text areas. Some dataset fields are automatically generated by some modules, and these are the module's "system fields". For example, for the Users module, the Email, First Name and Last Name fields are system fields. System fields are inherently protected from accidental removal by administrators, as other plugins and modules rely on them. You can extend many Zenario data managers, including: Users & Contacts; Documents; Confidential Documents; Locations; Companies; Countries; and Regions. an extra-data table, to which new columns are added when dataset fields are created. For checkbox- and list-type fields (checkboxes etc.) there may be additional tables employed to store the related data. There is considerable control over which fields are given MySQL indexes, and which are searchable and sortable in Organizer. With this data model, the experience of managing data in Organizer is fast, and we have experience of managing dataset-based information with 250,000 records and more. A company such as a mediation service may need to hold a lot of data about different types of mediators and their positions and be able to see this data on Zenario. The table below shows how adding in certain dataset fields can extend the data being stored. (Using the values: Qualified, Applied, Approved, Suspended. Mediator search on the front end of your web site. A Document's data can also be extended. For example if a car manufacturer had a list of car manuals that they wanted to make searchable, some extra dataset fields can be added to the document metadata in order to further define what each document relates to. Text "Volume", "Month" or "Year" could be added. 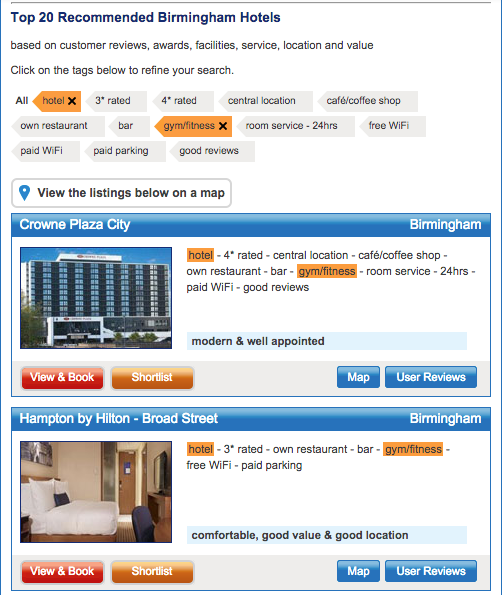 A booking site for hotels could use datasets to extend the pre existing data model by being able to categorise the types of hotel that are on the site. The Companies dataset is linked with the "Company Locations Manager" module and extends the "Location Manager" module. It gives you the ability to create customers and under that enter locations for each customer. For example a furniture maker may have their furniture sold by many different customers, that have many different stores around the country and they want to know. Date "Start/end date of contract"
Note that there is also an option to activate an industry code box which has all of the codes that can be assigned to the different types of industry your customers are in. One of the types of field that can be used in your dataset is a Centralised List. This type of field is beneficial when there is a long list for lookups, such as countries, where the values will always stay the same. New centralised lists can also be created by developers, which in turn can be chosen as a dataset field. Dataset fields can be shown in the Organizer panel and also be made searchable and sortable for easy display in the back-end. They can also be protected from deletion, by simply ticking an option when creating. This means that other administrators of the system (without the right permission) will not be able to delete or modify this field.